According to a pre-order listing over on Gamestop.com, Microsoft and Bioware will be re-releasing Mass Effect sometime next month as a value priced two disc special edition. the “Mass Effect Two-Disc Edition” will release on February 10th for $19.99. this new edition will not only come with the Mass Effect game disc, but the second disc will come packed with a documentary, design galleries, game trailers, music and the Bring Down The Sky downloadable content expansion. All this is perhaps to remind fans that the Mass Effect universe is still alive and kicking in preparation for the upcoming release of Mass Effect 2 with a projected release date of December 31, 2009. 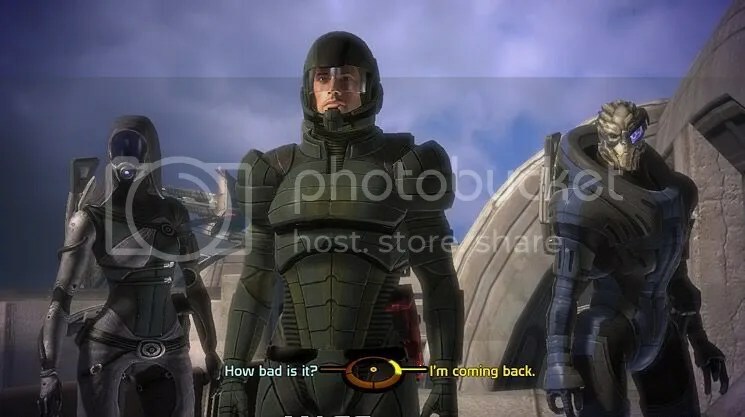 This entry was posted on January 20, 2009 at 8:03 am and is filed under Microsoft, News, PC, Xbox 360 with tags EA, Mass Effect, Mass Effect 2. You can follow any responses to this entry through the RSS 2.0 feed. You can leave a response, or trackback from your own site. I have no expertise in programming but I had been hoping to start my own blog soon.